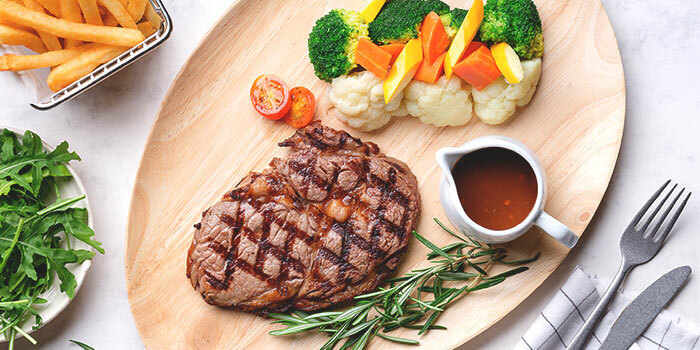 Enjoy 1-for-1 buffet at Food Capital when you purchase vouchers from ChopeDeals. This offer is not valid with 'Chope Exclusives', other discounts and promotions. 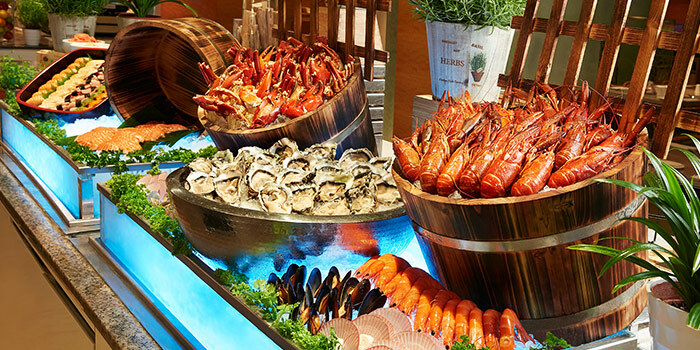 Here at the elegant lobby of the Grand Copthorne Waterfront is its premier dining destination, Food Capital, an international buffet that spans the gamut of everyone's favourite food offerings from all over the world, with a great view of the Singapore River to boot. Open a meal here with selections from its cold seafood bar that ranges from shucked oysters to freshly sliced sashimi and sushi, then move on to its impressive rotisserie section featuring a hulking beef stripling and super gourmet slow-cooked veal shank served with a truffled potato mousseline. 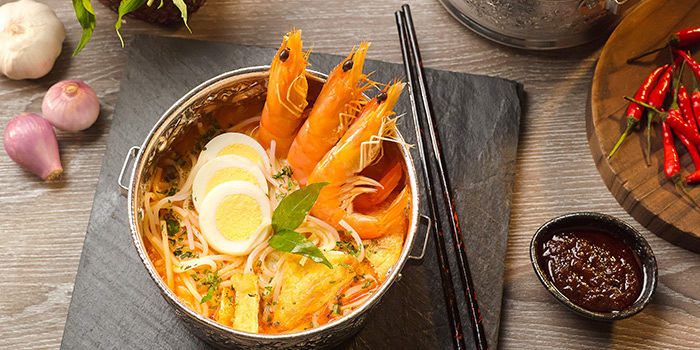 The local selections here are especially good, featuring a beautiful tureen of chili crab and the famous Grand Copthorne Laksa, followed at the end by a selection of local kueh like ondeh ondeh and kueh lapis sagu, which you can pair with Western petits fours and parfaits. 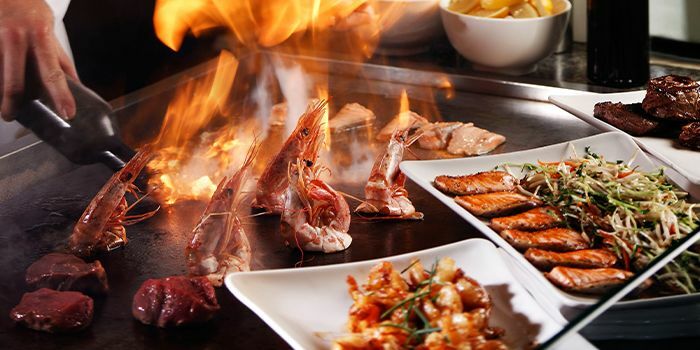 Take your taste buds on a trip to explore the finest flavours of Japan. Highlights include Japanese gyoza, Teriyaki Chicken, Kani Chawanmushi, salmon kabayaki with bonito flakes and furikake, matcha pannacotta and more. 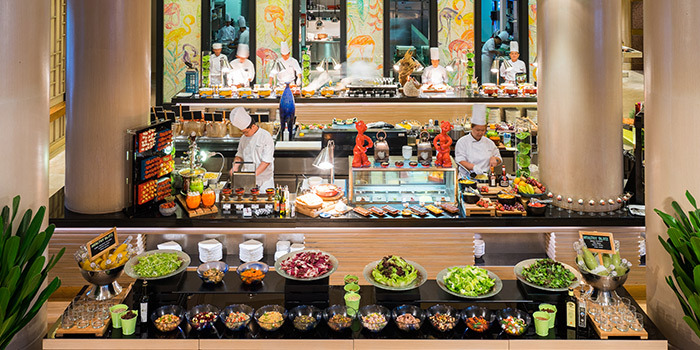 **Buffet menus are on a rotational basis.